Uncategorized VIVA LA CANADA! WHO WILL BE MAKING THE TRIP TO MEXICO? Much has been said about the ascent of Canada basketball and its budding popularity in the ‘Great White North’. Nestled beneath the celebrated, national sport of hockey is a game that’s morphed into more than just a leisure pursuit: it’s matured into something we’ve become good at, and on a global scale, too. The 2016 Olympic games in Rio de Janeiro, Brazil is only a stone’s throw away – if we’re looking at it from a quarterly perspective – and the FIBA Americas qualifying tournament, which will take place in Monterrey, Mexico, is right around the corner (Aug. 25 – Sept, 6). The qualifiers will host a total of ten teams that will be divided up into two divisions: Group ‘A’ and Group ‘B’. (Group A: Brazil, Dominican Republic, Uruguay, Panama, and Mexico; Group B: Argentina, Canada, Cuba, Puerto Rico, and Venezuela). Ultimately, after a series of meaningful games and elimination rounds between both respective pools, the (overall) top two teams will punch their ticket to the Olympic games the following summer, permitting an opportunity to clasp the esteemed gold medal on an international stage – and depending on who you ask – on the uppermost platform imaginable: the world games. The Canadian Senior Men’s National team seems to have a good problem on their hands going into the qualifiers in about two weeks. The issue, in its entirety, is that head coach Jay Triano will be required to cut a few very talented players moving forward. The good? Triano will have the unique opportunity of handpicking a 12-man roster from a throng of NBA players, and NBA caliber players – a 16-man tryout roster to be precise- to represent Canada in the Olympic preliminaries in Mexico. (Tryouts will run from Aug. 14-20). 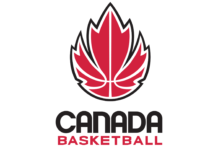 Canada Basketball sent out the camp invite list on Monday evening, detailing the 16 players Triano will be looking to evaluate as possible suitors for the qualifiers. Let’s quickly look at who, due to contract status or other preeminent obligations, will not be participating in Monterrey. Tristan Thompson (Cleveland Cavaliers) – Has yet to sign NBA contract, no insurance. Tyler Ennis (Milwaukee Bucks) – Rehabbing from offseason shoulder surgery. Trey Lyles (Utah Jazz) – Still in question, but likely to use time to prepare for NBA season. That leaves Triano and general manager and Canadian basketball chieftain Steve Nash with a highly talented assemblage of players to choose from. The starting lineup seems to be set in stone with Toronto Raptor and Pickering, Ont., native Corey Joseph governing the point guard duties, while Philadelphia 76er’s newly acquired sharpshooter Nik Stauskas (Mississauga, Ont.,) will undoubtedly be handling the two guard spot. Controlling the frontcourt at the wing will be 2015 NBA Rookie of the Year winner Andrew Wiggins (Vaughan, Ont.,), as he’s expected to be the focal point of Triano’s offence. Boston Celtic forward Kelly Olynyk (Toronto, Ont., & Kamloops, BC.) and the Orlando Magic’s Andrew Nicholson (Mississauga, Ont.,) will round out the post pillars for the red and white. The bench seems to be the only tentative portion of the roster and something that may require some careful teetering by Triano and company in order to produce the most effective, complementary group to an already multitalented starting line up. Kitchener Ont., native Jamal Murray, who will be at the helm for John Calipari’s Kenucky Wildcats this upcoming NCAA season, will be a suitable fill-in for an Ennis-less Canadian squad. If you had any opportunity to catch any Canadian’s men’s basketball action at the Pan Am Games this past month, then it would be easy to see why Triano elected to go with the 6’5” guard as a player on his 16-man tryout roster. Murray brings scoring and playmaking to the table (and size at the point guard spot), and would only help ignite the offence for the bench unit, which includes a mixture of athleticism and decent perimeter shooting. There’s only one question at stake for Canada basketball, though, and that’s whether or not Murray will receive clearance (UK obligations) to play in the qualifiers – which we will hopefully find out sooner rather than later. Former Carleton Raven Phil Scrubb is another invitee who will look to make his mark in the camp auditions starting on August 14th. Scrubb’s past experience playing FIBA (U19) and his recent involvement with the NBA summer league will bode well for his chances of making Triano’s club. Canada will surely look to Scrubb as Joseph’s backup if Murray is not cleared to play. He’s a cerebral and poised point guard who can undoubtedly run an offence. Brady Heslip (Burlington, Ont.,), despite being undersized at the two (6’1”), is a seamless fit for FIBA ball and, similar to what Nash said during Pan Am Games action, “He’s kind of becoming a guy that you can’t leave off of the team.” There’s no qualm in the belief that Heslip can shoot the ball and Triano has already previously stated how crucial it will be to have shooters on the team. Melvin Ejim, who just recently received an invite to the Orlando Magic’s training camp, is another one of those must-have players who need to be on the final 12-man roster. 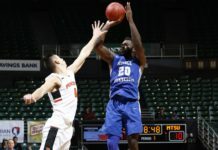 The ability to guard several positions is somewhat of a taboo in basketball, and having Ejim to defend guards, forwards, and even in some cases – like against Brazil in the Pan Am Games – centers, warrants a spot on the roster. He’s a full fledged gamer that would only help this squad. Anthony Bennett, like every starter on the Canadian team, is pretty much a surefire bet to land a roster spot. Coming off what seems to be his best offseason yet, where the Minnesota Timberwolves’ forward shaved off a good deal of weight and improved his conditioning as a result, Bennett is expected by many to have his best NBA season yet. He will likely be backing Nicholson up at the four. To round out the rest of the roster, it seems as though adding Los Angeles Laker Center Robert Sacre and Dwight Powell (Dallas Mavericks) will supply depth to an already sufficient frontcourt with Nicholson, Olynyk, and Bennett. Sacre adds even more length at the center position and gives Triano another big body to throw in the mix if things get messy for the red and white. His size alone will be valuable to Canada against top-heavy teams. Powell had an impressive summer league and is surely anxious to spread his newfound wings on the international level. The former Stanford Cardinal adds versatility at the frontcourt and, like Nicholson, he has the ability to knock down the outside jumper when need be (not necessarily a three-point shooter but can still stretch the floor with outside shooting). Provided Triano goes with the above-mentioned collection of players for his roster in Mexico, the final slot should go to someone who makes the most sense in terms of security and fit. (If Murray is not eligible to play then Triano will only cut three players instead if four). If the Canadians want to add even more size to a relatively decent sized roster, a 7’5” center like Sim Bhullar makes the most sense. Aaron Doornekamp is another big on Canada’s watch list that adds a morsel of versatility. Triano had both bigs for his Pan Am team and the two were equally impressive in their showings. Doornekamp gives you more mobility and outside shooting at the four – his long resume of playing FIBA will also prove favourable to his chances of making the club – while Bhullar’s size would be advantageous in a FIBA tournament where the defensive three-in-the key violation is moot. Quebec native Olivier Hanlan is an interesting candidate for the Canadian team, too, as the 6’4” combo guard brings a wide-range of offensive ability. Hanlan is well known for his ability to slash inside and create opportunities in the half court- he was a 20-point scorer during his stint with Boston College. His ability to put the ball in the hoop should not be overlooked when Triano makes his final decision. Lastly, SMNT mainstay Carl English is another one of those pure scorers who, despite not playing his best ball at the Pan Am Games, is worthy of a shot to go to Mexico. English brings shooting and decent ball handling to an already forward heavy Canadian club. Depending on the direction Triano and Nash want to go heading forward – if they are looking to go big with Bhullar or Doornekamp, or quicker with Hanlan or English – it will be interesting to see who shapes out the roster when it’s all said and done. One thing is certain, though. 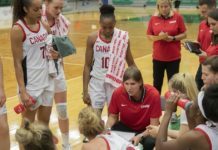 Canada needs to finish top two to both qualify for the summer Olympics and to validate the hoopla surrounding the nations emergence in the game of basketball, at least to the many other nations that may not be aware of Canada’s blooming talent.